Add and personalize Text & Title with free text overlays and effects. One of the features that separates good movies from great movies made using video editing software is including cool online text effects for captions, labeling or, if you are creating instructional or teaching videos, your written content. Exciting, creative and entertaining text effects are another way to engage your audience and bring them into the story you are trying to tell, or the lesson you want to share. These are cool text effects that can make your videos really stand out and look like a professional production, without the cost or investment of time required from an actual professional video put together by a producer or graphic designer. Filmora9 video editor is one of the best video editor for adding and editing titles and texts effects to videos with ease. You just need to preview to choose the target Text effect and then drag-n-drop it to the video track above the footage track. You can adjust the titles duration and customize it in the Advanced Text Editing window. There are almost endless free online text effects generators and applications available, but overwhelmingly they come with several drawbacks. Features are limited in many cases: a small selection of available fonts and effects, or support for only a handful of formats or operating systems. Many of them offer only limited uses before demanding you upgrade to the pay version. Others are disguised malware that infest your computer with unwanted software. So... where does that leave you? Are there any cool online text effects editors that are free and actually do what you need them to do? Wondershare Filmora9 Offers Cool Online Text Effects for FREE! Wondershare Filmora9 (Latest Filmora version 9) is a popular video editing software. In the same time it offers its customers with many free cool online text effects. Some of them are even hand drawn by real artists. It is designed to provide beginners with the ability to create video special effects just like a pro, using all the tools you can find in a professional studio. Wondershare Filmora9 video editor is a powerful and complete text effects editor and includes a vast library of text and animated effects, with custom items for holidays, family & friends, social sharing, and much more. The interface is designed to be used by a beginner, but delivers professional-level results. The learning curve is very gentle, you can be up and creating in only minutes. This video editor is also very versatile. It supports almost every common video media format on the market, and there are versions available for Windows and Mac – everyone can enjoy adding professional, cool text effects to their videos and movies. One more thing that makes Wondershare Filmora9 video editor great: it is constantly being updated with new cool text effects and graphics items. The library of fonts, styles and animations is constantly growing, meaning you always have new ideas to spark your creativity and ignite your videos. 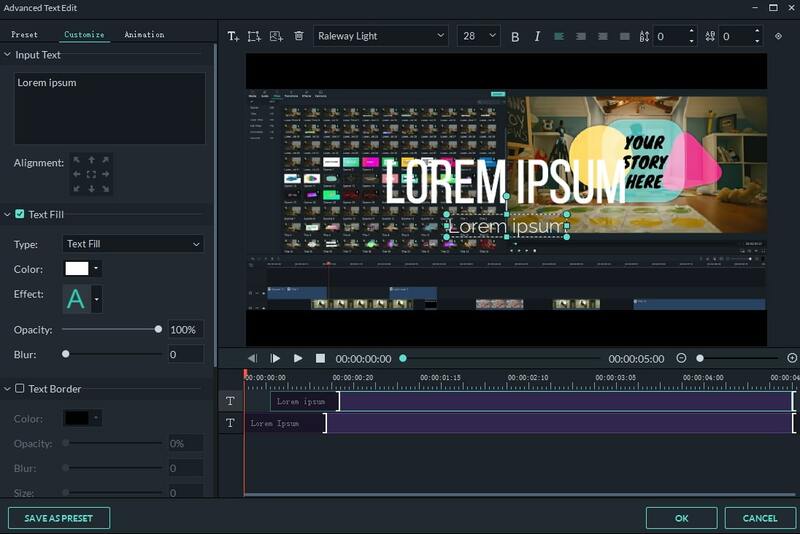 Great movies, and cool text effects, are not just for Hollywood filmmakers – with Wondershare Filmora9 video editor, everyone can enjoy being a creative genius! 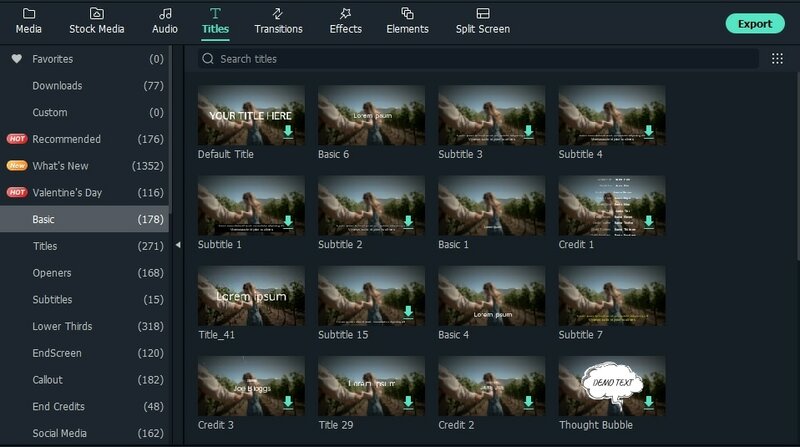 If you want to find out more title & text effects for Filmora9 video editor, you can check the newly released effects store Filmstocks , which provides video effects for both Filmora9 and After Effects.